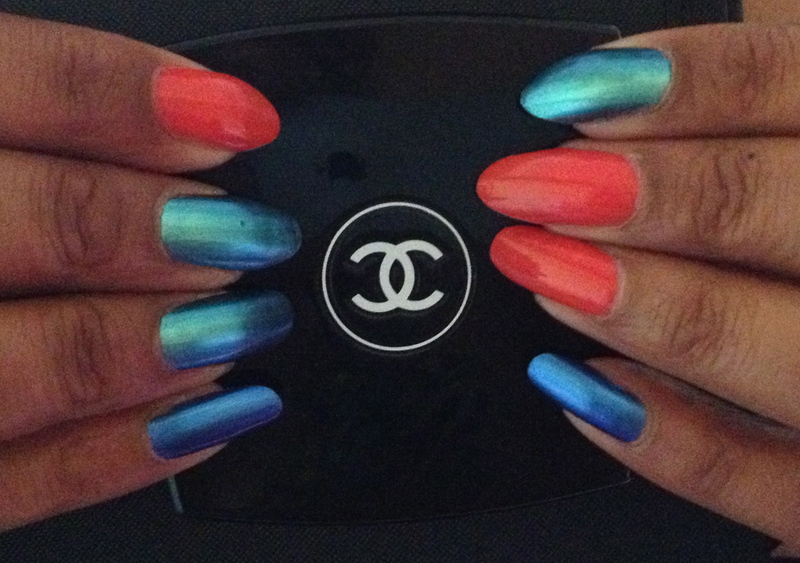 Hold This: Chanel’s New Le Vernis Trio | Hold This. Wear That. I was told she would speak to me during her tea break but I didn’t have the heart to deny her precious time when I could tweet her or pop in Hari’s on the Kings Road. I know a Session Technicians life is a mix of constant chanter, promotion and thinking on your feet, as something important you need will always go missing or cannot be found so every little break is chance to re-group. 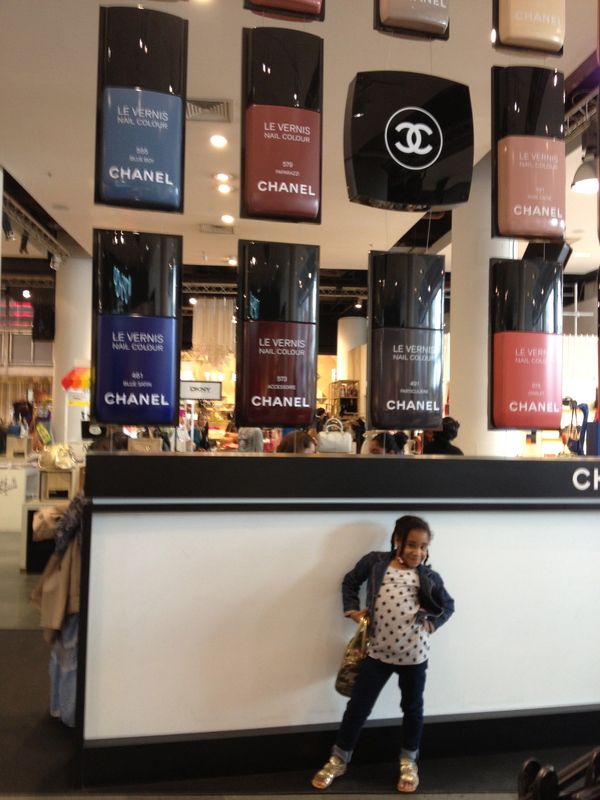 I had brought my Niece Zar-Zar, we were in no rush so started the day travelling up the floors of Selfridges and working our way back down to Street Fashion. There it was standing out like a beacon calling out to all the nail fashionista’s, polishaholics and slaves to fashion. It was the most impressive sight. 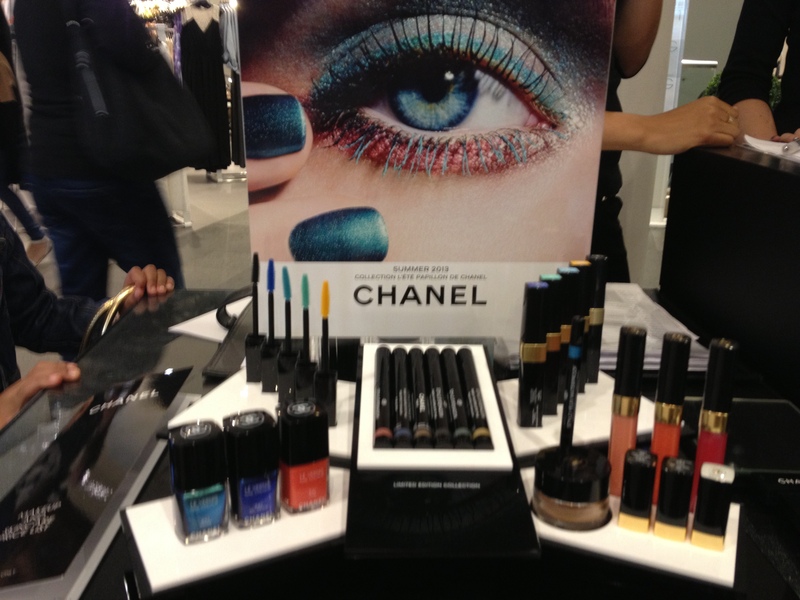 The giant bottles, the black sleek counters… Chanel Nail Heaven. £25 secures a manicure and believe me when I tell you, a hand massage with Precision Body Excellence cream is the best you will ever have. Your deposit is redeemable against purchases. Le Vernis retails at £18 so treat yourself. The new trio colours are: Lilas 647 a beautiful deep coral, Azure 657 butterfly wing metallic green and Bel-Argus 667 a fantastic metallic blue. In the centre of the nail bar was a ‘play’ centre where you could paint your nails from a selection of classic and limited edition colours. 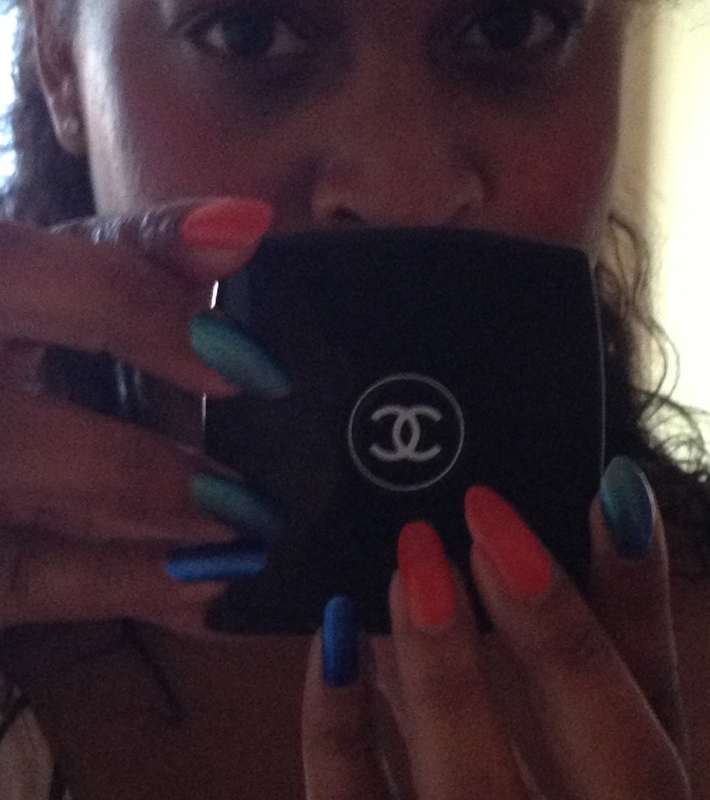 I painted my nails and chatted to the Chanel Nail Experts about the other items in the collection ‘Papillon’. I have taken a fancy to the Inimitable mascara’s in blues and yellows and also the collection of fresh effect eyeshadows. The one piece I wasn’t leaving without was the True Blue long lasting eyeliner – I’ll let you know soon what its like. 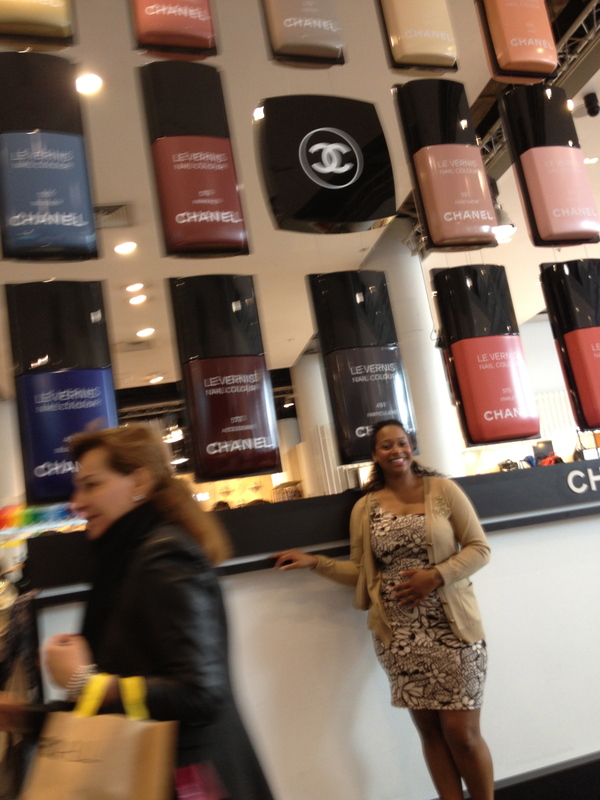 I didn’t try the lipsticks or Glossimers as I would have gone home with a large credit card bill!! This entry was posted on June 7, 2013 by Hold This. Wear That in Hold This and tagged Beauty, Chanel, Le Vernis, Lipstick, make-up, nail bar, nails, selfridges.